I am so overjoyed to share this news with you. Finally, after years of being put on display in front of crowds, being made to do tricks, two beluga whales held captive by SEA LIFE have been forced to perform for the very last time. When I heard the news I was overcome with emotion. Alongside you and other animal advocates, we have campaigned hard for the freedom of these whales for a long time. And now their days of exploitation in shows have actually come to an end. It’s almost hard to believe. But it’s true. And it’s all thanks to you. SEA LIFE and parent company Merlin Entertainments gave into pressure and last year announced they would be retiring the whales to a sanctuary in Iceland. And they will be going there this month! This victory goes beyond these two whales. It is yet another blow to the captivity industry which exploits whales and dolphins for entertainment. It is a step closer to a future where all animals are free from exploitation. Thank you for everything you have done to make this happen! Will you now join us today to fight for the freedom of all animals exploited in captivity? Hold a demonstration at your local zoo or aquarium! Whatever you do for animals, it is clear that when we work together we can win! And animals can be given a second chance! 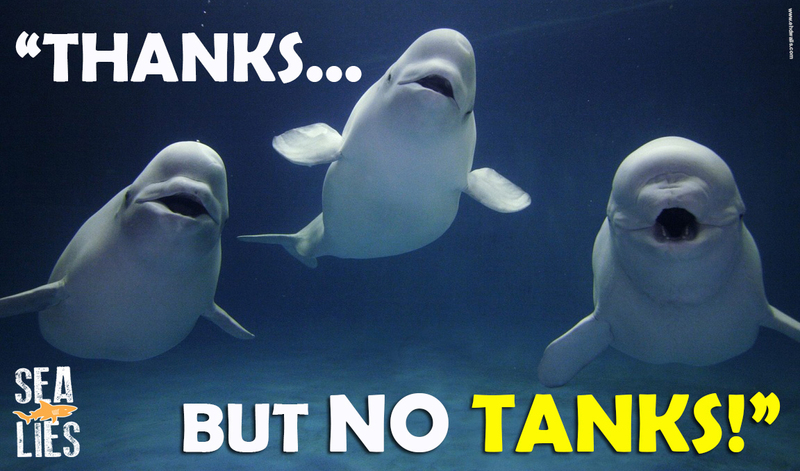 So let’s use this fantastic news about the belugas and keep fighting for other animals in need. P.S. Thank you for all you have done to free whales like Little White and Little Grey from captivity. You are giving them a second chance at life!